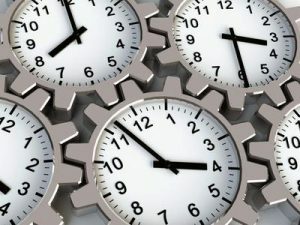 How do we measure time? – by relating one or more events to another event or events. To have “motion” we need universe with least two objects. To have “time” we need universe with least two events. If the Universe is created from two objects, which are moving away from each other, according to definition of time we should have time, but how can we explain and how can we measure time in such universe? – Have in mind, that you already have the time concept from at least two events in your life. – Note that your thinking is an event too. – Do not use “speed” for proving “time”. Speed is related to motion and measured with time. – Relation between two events is for example “the number of Earth spins in one circle around the sun”. – Every time-measuring tool is used as an “event”. However, the moving clock does not measure time, unless we refer it to another event. – All events appear in space, except the thought (the thinking).